Chat show host David Letterman retired at the end of May, and to mark his departure from The Late Show, ITworld looked back at five of his greatest tech-related achievements – including the infamous Quiz Machine. Other entries on the list include a suit of magnets, a camera strapped to a monkey, a remote-controlled hose to spray water on passers-by, and a show in which the camera shot slowly rotated through a full 360 degrees. 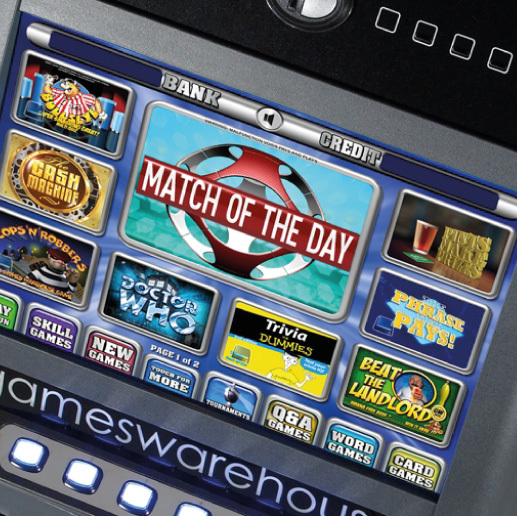 But The Late Show Quiz Machine is perhaps the most enduring image, thanks to its uncanny resemblance to many modern-day gaming machines of that type. As each question was asked, three multiple-choice answers, labelled A, B and C, would be revealed – sound familiar? These would then be hidden, before updating for the next question to be asked, while the fairly low-tech but gigantic machine also featured a one-armed bandit style reset lever. “This big ‘device of knowledge and entertainment’ would provide answers to various questions with the help of audience members or celebrity guests,” ITworld explains. As Letterman’s chat show career draws to a close, it’s amazing to think that a Monday-night feature dating back to the launch of Windows 95 – and which featured Bill Gates as its guest operator to promote that software – could be so close in basic design to so many modern-day quiz machine games.